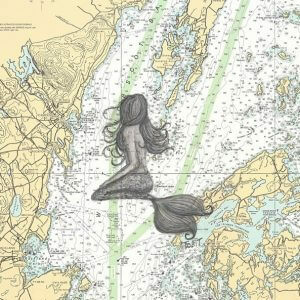 Mermaid Print on Port Clyde, Maine Chart – Matted. Free Shipping! This print is a print from the original piece “Sea Gypsy”. The original is was drawn with charcoals onto a nautical chart. This particular chart location is Port Clyde Maine. 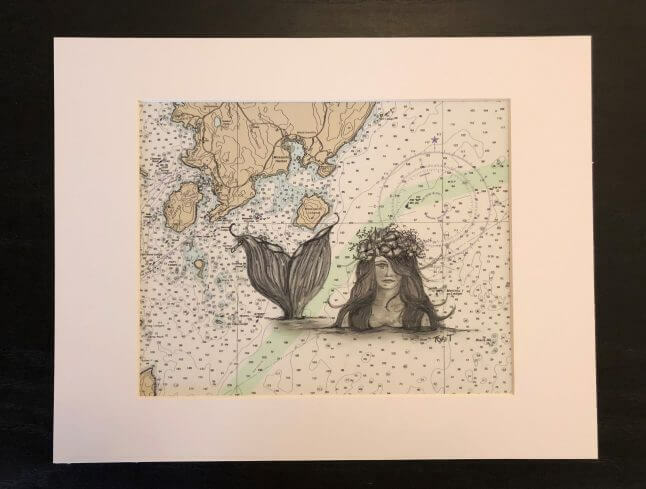 The original was scanned, printed and matted – it is ready for you to pop into a frame and hang! 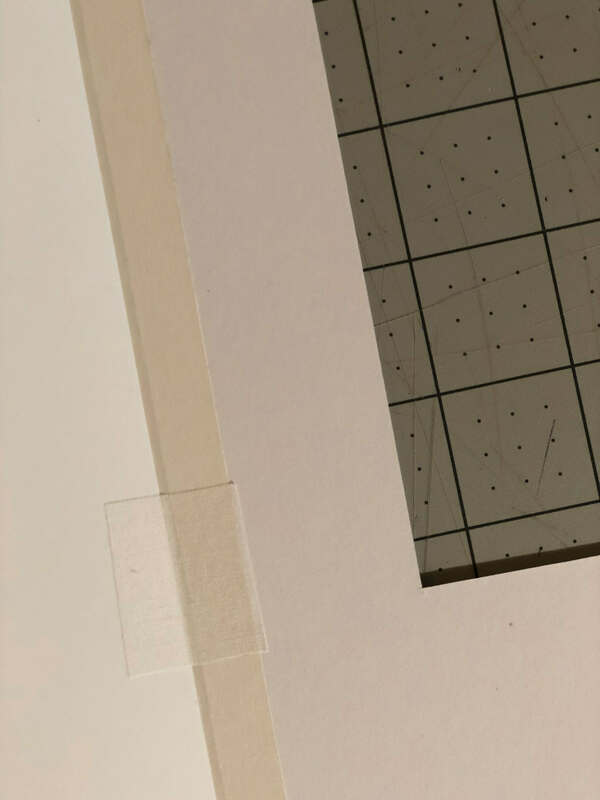 The mat is a white, single cut mat with a white backing board. 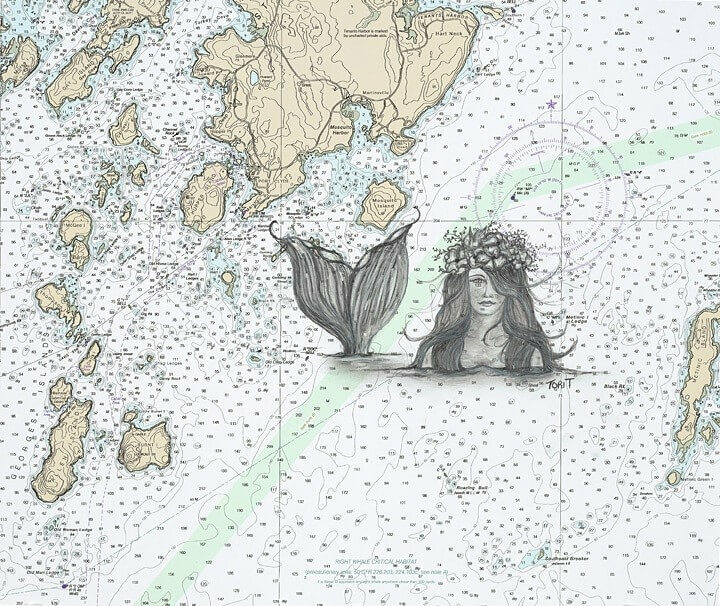 The opening of the mat (view of the artwork) is 7-5/8″ x 9-5/8″. The final size is 14″ wide x 11″ high (overall dimensions). The artwork is only secured at the top inside of the mat with a “hinge” connection (see image 4). This will allow you to easily change mats if you choose. Otherwise, it is ready to frame as it is. 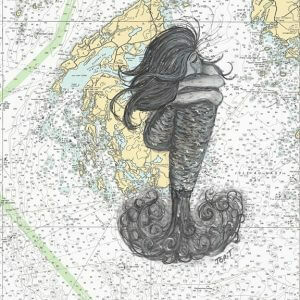 The matted image ships flat. 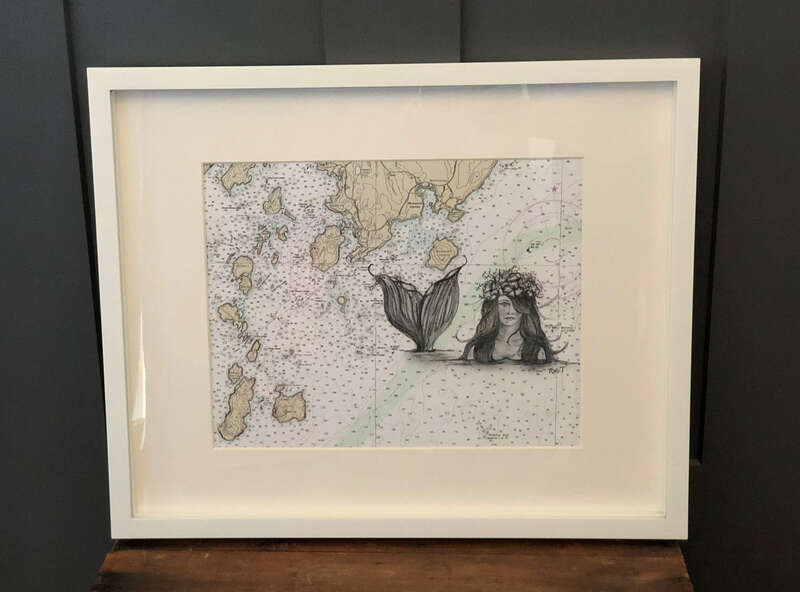 Please Note – Image 3 is to show the piece as it looks framed – the print does Not come framed, only matted.